This is a high-quality TS832 48Ch 5.8G 600mw Wireless Audio/Video Transmitter for FPV RC transmitter which will give you more than a 5km range in an open, clear area. The unit is upgraded version TS832 32 channel, very easy to install with its plug & play prewired leads and also it has 48 channels in the 5.8G band. A great little feature is that it has a built-in digital display and a push button for easy channel selection. This feature also has a memory?power off so it will remember the last channel when it is switched off. This 5.8G 48ch 600mW transmitter is compatible with other makes of receivers making this an excellent choice for your FPV model. 48 CH compatible with all FPV 5.8g receivers. 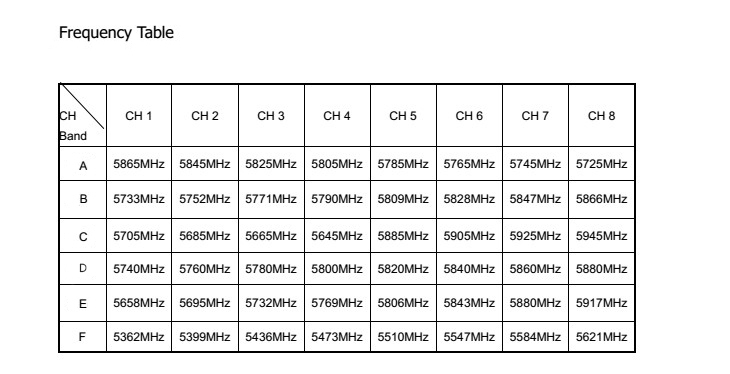 1 x TS832 48Ch 5.8G 600mw Transmitter. 1 x Antenna for Transmitter.